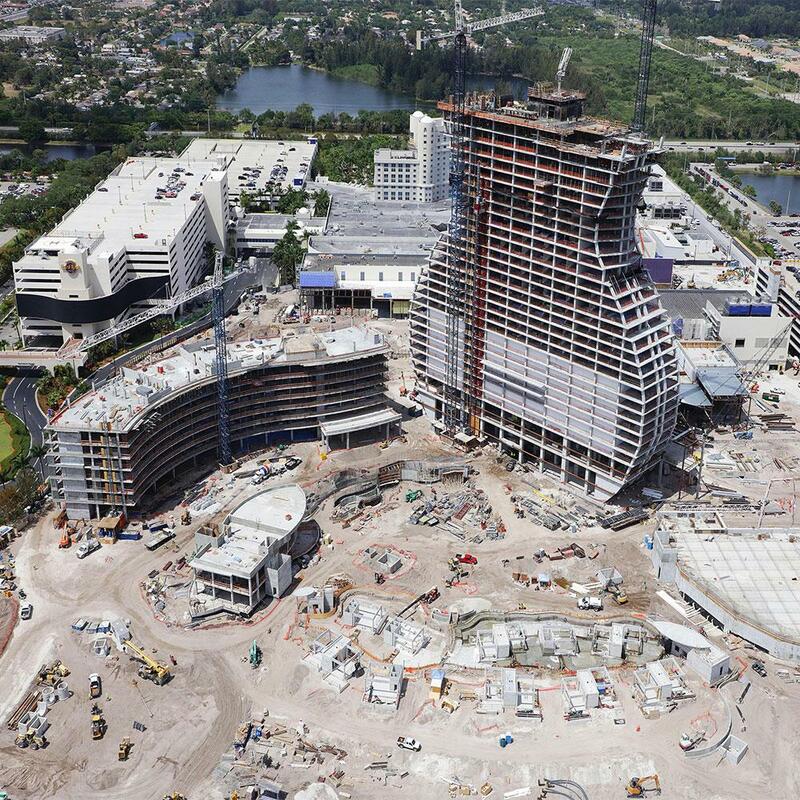 Hollywood, Florida – The new Hard Rock Hotel in Florida will raise pulse rates among music fans everywhere. 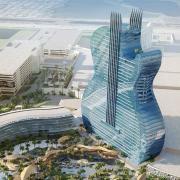 It will be the first-ever guitar-shaped building anywhere in the world. 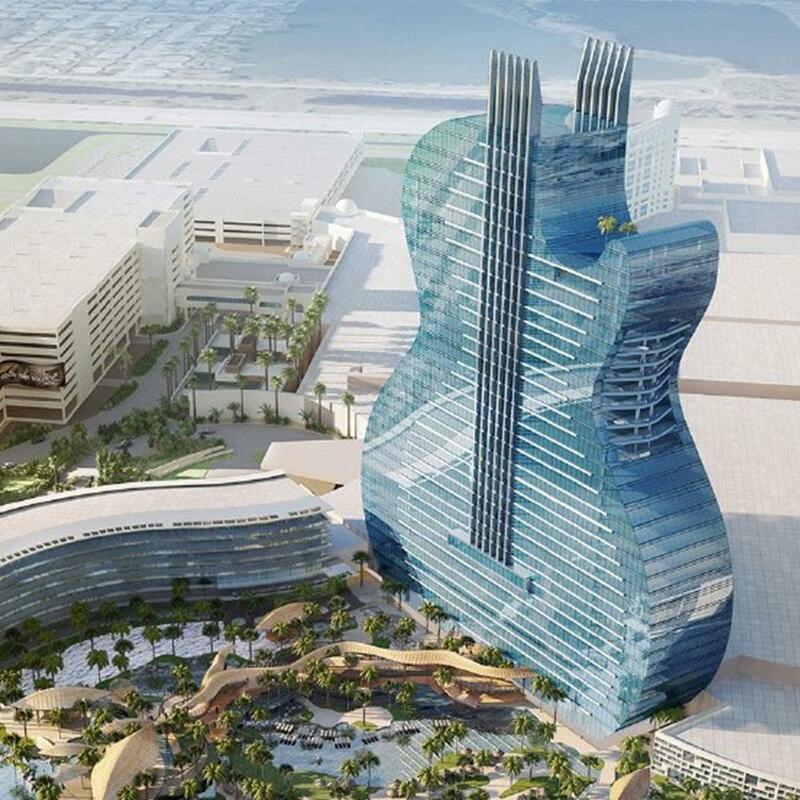 Standing 125 metres tall, looking like two guitars set back-to-back, the hotel will have 638 rooms. The motif is a favourite of Hard Rock Cafe International, Inc., but this is the first time the company has ventured to build a structure resembling the actual musical instrument. Vertical slats along the tower’s centreline suggest strings, and horizontal dividers are reminiscent of a guitar’s frets. 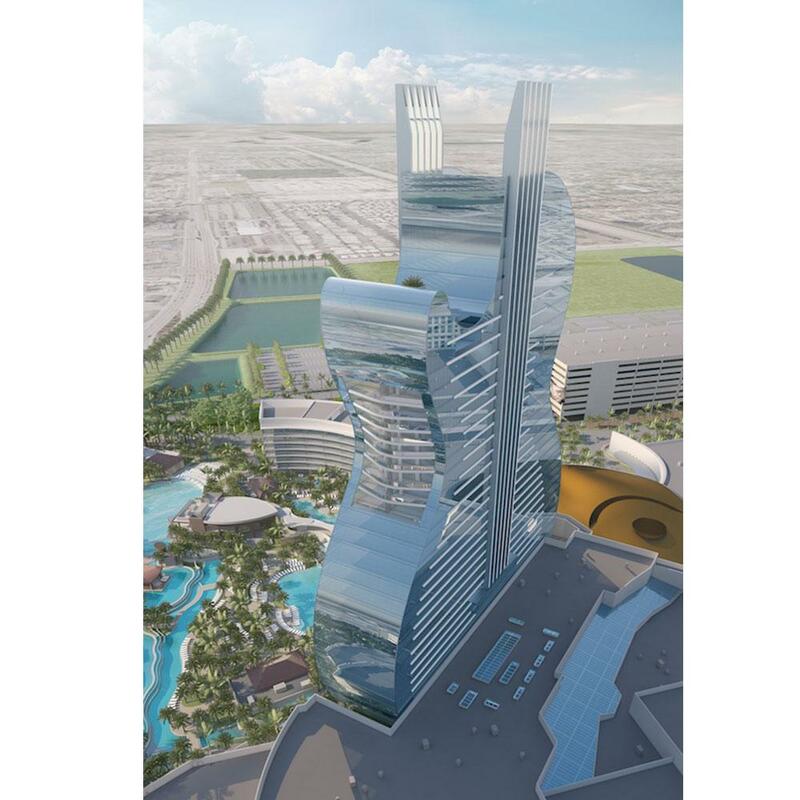 With completion scheduled for 2019, the new complex will house the hotel plus a hard-rock concert hall seating 6,500 and incorporating its very own TV studio and broadcasting centre. It will also boast a wellness area and spa with a floorspace of just over 31,000 m², along with restaurants and retail facilities covering 5,600 m². 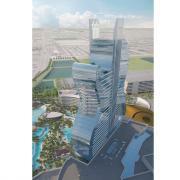 The casino will have a new poker salon measuring 1,672 m² and 3,000 new slot machines. The original Hard Rock Cafe was opened on 14th June 1971 on London’s Old Park Lane, in the premises of a former Rolls Royce dealership, by US American entrepreneurs Isaac Tigrett and Peter Morton. Hard Rock Cafe, HRC for short, is a chain of themed restaurants, hotels and casinos operated by Hard Rock Cafe International, Inc. There are now more than 170 outlets in over 50 countries worldwide. Doka’s Super Climber SCP self-climbing formwork and working platform is perfect for projects like this. Any floor plan can be formed quickly and flexibly with this modular formwork system for highrise cores. At the touch of a button, high-performing hydraulic cylinders climb wall formwork – Large-area formwork Top 50 on this project – and working platform to the next pouring section in a single lift. “One of the main advantage of working with Doka’s Super Climbing System is that the pump is included in the system avoiding extra work and unnecessary movements. 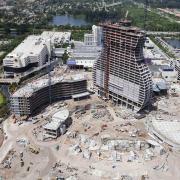 The fact that everything is connected you don’t have to worry about weather conditions, work can keep flowing and your people are safe on the system”, emphasizes Ronal Esquivel, Project Manager from Liberty Baker. As well as configurations with anchoring to the structure on both sides (as in shafts), there is also an extended solution which makes it possible to transfer the forces on one side only. This makes it easy to use the system where there would not otherwise be enough walls, or where there are openings in the opposite walls. 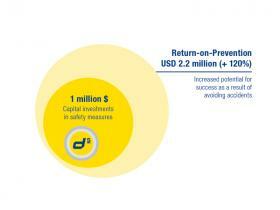 For even faster cycle times, the reinforcement operations can also be carried out above the platform. The system makes it possible to suspend working platforms that reach deep down into the shafts, enabling the crew to start carrying out finishing-jobs while the concreting works are still under way. 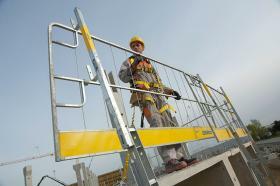 What’s more, the Super Climber SCP offers a high level of safety for the entire jobsite. Fully enclosed workspaces enable work to proceed in safety and without adverse effects from inclement weather. There is plenty of space on the platform for setting down reinforcement and site equipment. Columns from the Framax Xlife "construction kit"
For forming columns from the Frami Xlife "construction kit"
Thank you for your interest - Livin' like the rock stars. Thank you very much for your interest - Livin' like the rock stars.